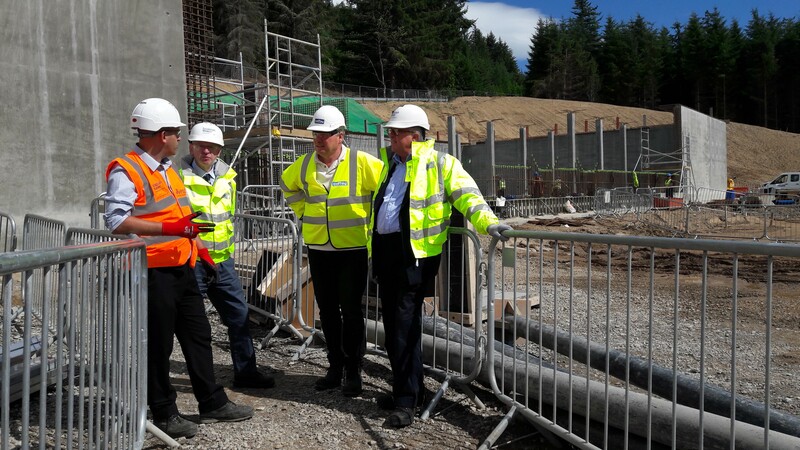 Local MP Jamie Stone has seen the progress of a £5.5 million Scottish Water project to improve security of water supply for customers across much of Easter Ross and beyond. 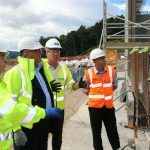 The MP visited the site near Evanton on Tuesday [31 July] where work has been underway since February this year and is expected to be complete in early 2019. 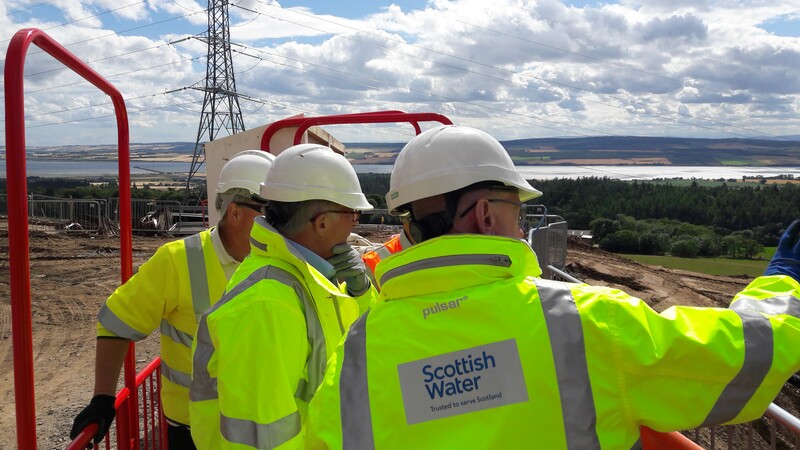 A new tank is being built with a capacity to store up to eight million litres of drinking water, improving security of supply for around 30,000 customers across Easter Ross, Dingwall and the Black Isle. The work is being carried out by Scottish Water alliance partner ESD, in partnership with contractor Coffey Construction. “The long period of dry weather this summer is a reminder that, even in the Highlands, water is a precious resource that we all rely on in countless ways. 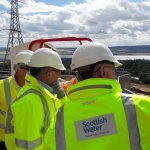 “The work currently taking place will help to improve the security of water supply for Easter Ross in the event of any future issues at the Water Treatment Works; or disruption to the local water network. “The work we are delivering reflects a significant investment for one of the key water supply areas in the Highlands, which serves communities right around the Cromarty Firth. Work on site is going well and we anticipate it will be complete early next year. “The work ESD and Coffey are completing on site will help to make sure the modern Water Treatment Works serving the area can continue to provide clear, fresh-tasting drinking water to our customers in a wide range of circumstances. “Separately from this longer term investment, we are continuing work in consultation with SEPA to manage water resources across the north following the prolonged period of dry weather. “Despite some rainfall in many areas over the past week, our frontline teams are continuing to work hard to ensure we can maintain supplies to all of our customers. We continue to need customers to help us by using water wisely, for example by using a watering can instead of a hose in the garden; and only using dishwashers and washing machines when fully loaded.
) 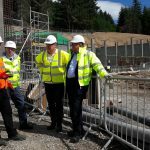 L-R: Kevin Williamson of ESD; Jim Briggs of Scottish Water; Robin Hally of Coffey Construction; and Jamie Stone MP; on the site of the £5.5m project near Evanton. 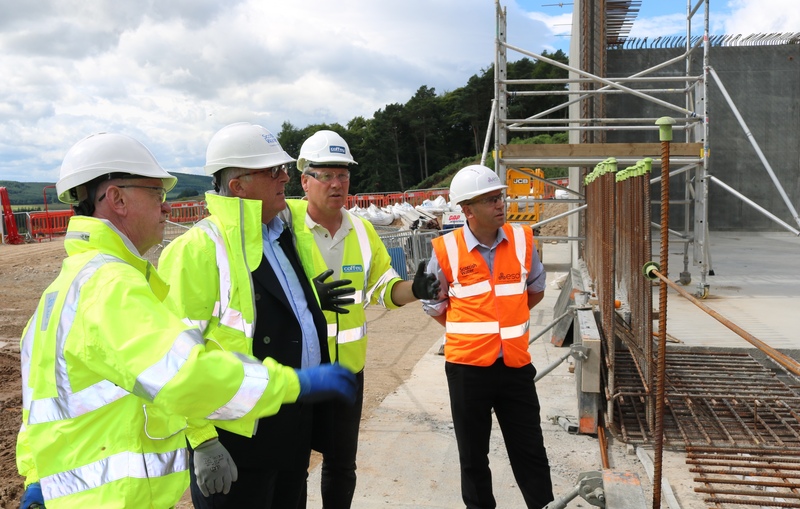 Jamie Stone MP (centre) hears more about how work is progressing on site. L-R: Jim Briggs of Scottish Water; Jamie Stone MP; Robin Hally of Coffey Construction; and Kevin Williamson of ESD. 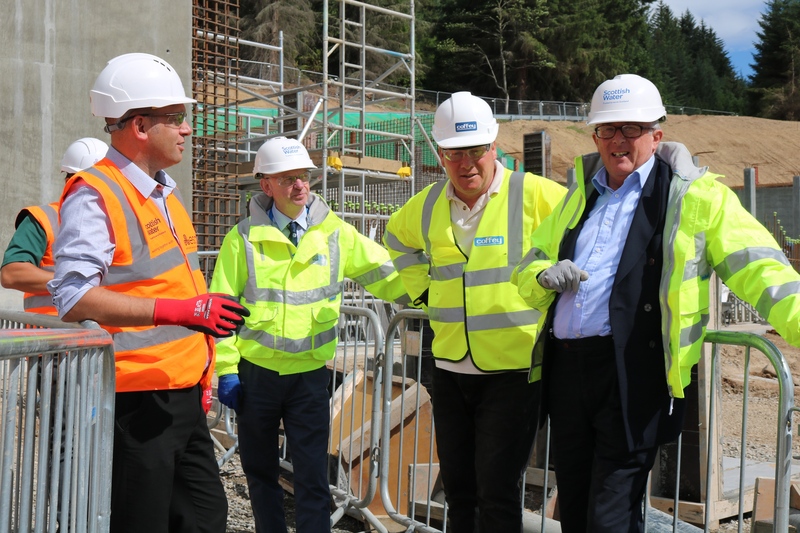 L-R: Kevin Williamson of ESD; Jim Briggs of Scottish Water; Robin Hally of Coffey Construction; and Jamie Stone MP; on the site of the £5.5m project near Evanton.